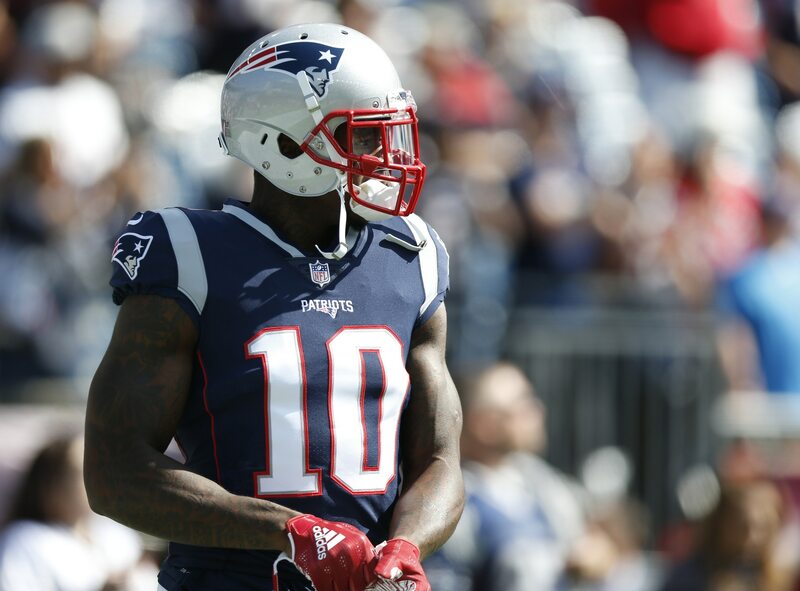 Josh Gordon is currently suspended indefinitely by the NFL following yet another failed drug test, but the New England Patriots haven’t given up on the receiver. According to Doug Kyed of NESN, the Patriots are currently paying for Gordon to receive treatment in Gainesville, Fla., and are open to an eventual return. As a member of the Patriots this past season, appearing in 11 games, Gordon hauled in 40 passes for 720 yards with three touchdowns. Gordon has been suspended by the NFL for failing drug tests multiple times throughout his career. Since entering the league as a supplemental draft pick in 2012, he’s managed to play in 52 games — missing the 2015-16 seasons entirely due to suspensions — and has caught 220 passes for 3,826 yards with 19 touchdowns.